When we visited Zeta two years ago after its opening, we thought it was one of Jacksonville Beach's best. Now that it has been rebranded Zeta Brewing Company with a new vibe inspired by its ever-growing clientele, it has gotten even better! Zeta Brewing Company is the creation of Mark Vandeloo, General Manager of the historic Casa Marina Hotel in Jacksonville Beach and Executive Chef Aaron Webb. We spoke with Vandeloo about the process and the changes to become Zeta Brewing Company. "We wanted the locals to help define what Zeta Brewing Company could be. It was a process," Vandeloo told us. "Zeta Brewing Company has a younger, hip feel but if you look around the place, you'll see all ages enjoying themselves. Everyone is here. There's a sixteen year old lifeguard sitting beside a seventy year old retiree. Families walk in with kids. We want to be family friendly. Why not? Everyone hangs out together and it is very comfortable for everyone. It is just what we wanted Zeta Brewing Company to be," Vandeloo said. Zeta Brewing Company has a very open and roomy feel with large windows and even outside seating. Guests can sit at high-top tables, in comfortable padded booths or around the double-sided bar that highlights the center of the floor space. Retro photos from Jacksonville Beach's history adorn the walls. Big screen televisions feature the best sports games each day and there is live music every Wednesday to Sunday. The food at Zeta Brewing Company is an eclectic collection served in larger-than-normal portions. "We based our menu around the big, beautiful stone oven that was already there." Chef Webb told us when we spoke in 2013. 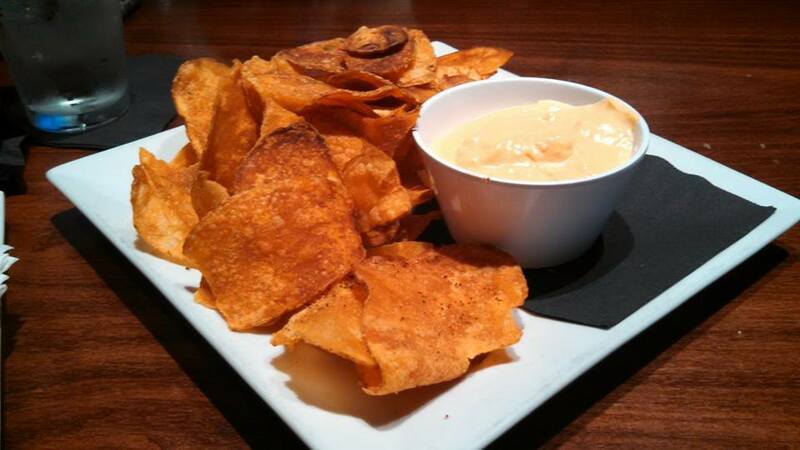 "Our chef J.C is everything we could ask for. He's young, hip and has his own special way of doing things and it is great!" Vandeloo said. J.C. is the talented Chef Joshua Claypool. We sampled the Zeta Chips & Beer Cheese, Zeta Hot Soft Pretzels and Cheese, Zeta Steak Salad, Zeta Shrimp & Cheese Grits, Zeta Bread Pudding with Bacon and Pecans, and Zeta Chocolate Brownie with Strawberry. 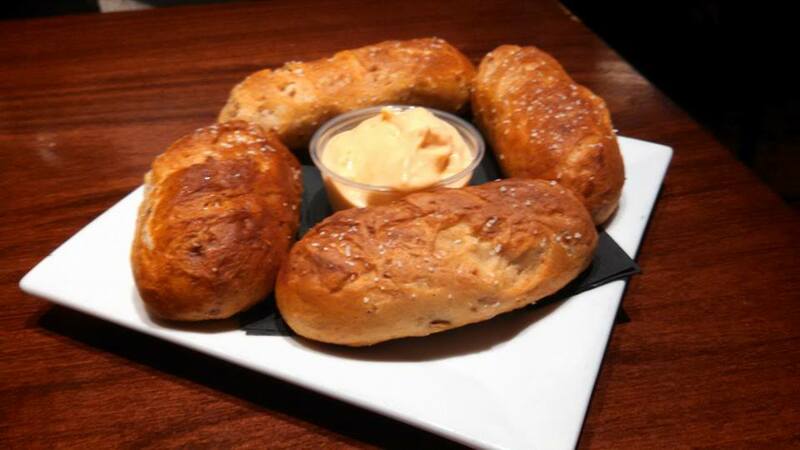 The Starter portions were each large enough for two to four friends to enjoy. 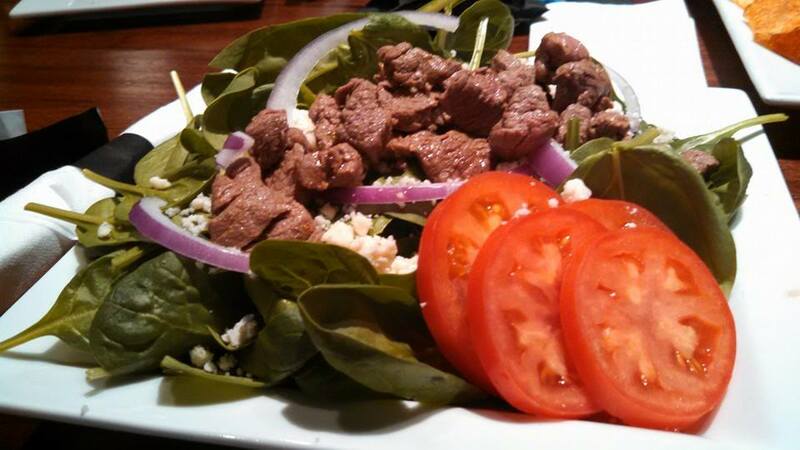 The Steak Salad was a delightful surprise - an excellent combination of flavors and textures. 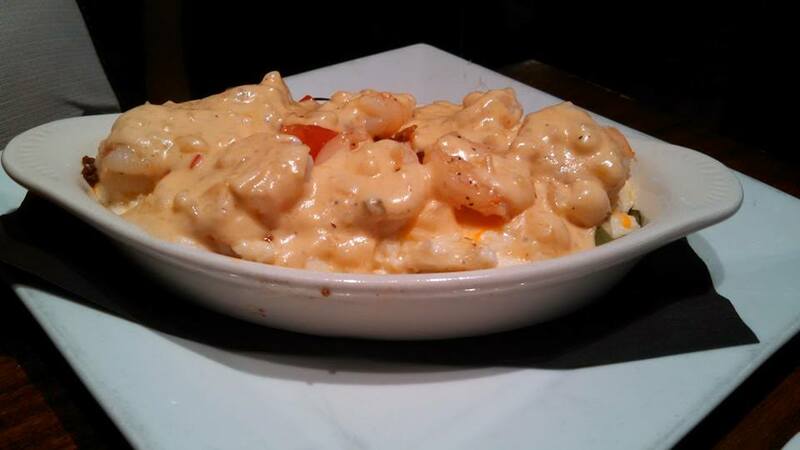 The Shrimp & Cheese Grits were so good that our Florida native publisher tried unsuccessfully to convince them to give him their secret recipe. 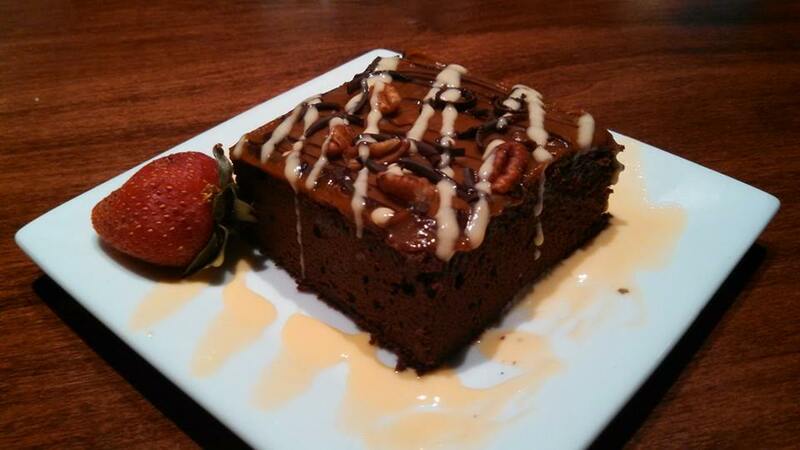 The Zeta Chocolate Brownie with Strawberry was the perfect end to a delicious meal. 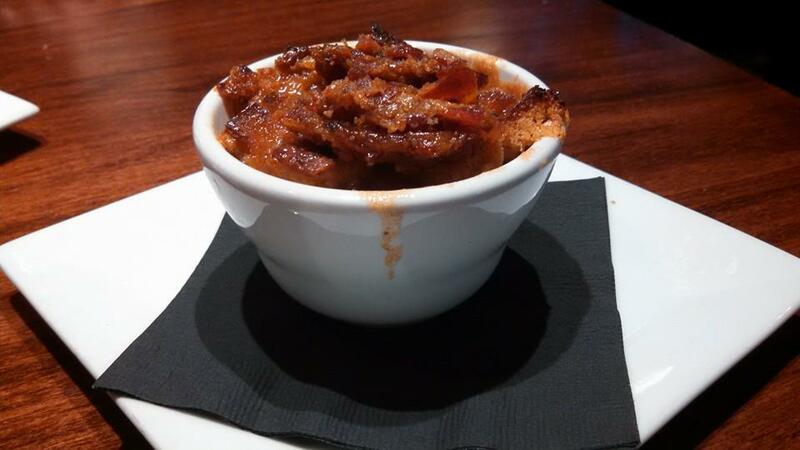 The Zeta Bread Pudding with Bacon and Pecans looked as good as it tasted - amazing. When you visit Zeta Brewing Company, you have to sample a craft beer or two. Check out this tasty selection. If you are in the mood for one of the best breakfasts in the area, Vandeloo and Webb launched weekend brunches at both Zeta Brewing Company and Casa Marina Hotel that have become a favorite with locals and travelers. "We do a Saturday and Sunday brunch at both Zeta Brewing Company and Casa Marina Hotel. We see 250 to 350 people for brunch. We are trending in the right direction," Vandeloo said. They try to share their success with others in the community. "We try to support local businesses by using local grains and fruits," Vandeloo told us. Served Saturday & Sunday 11am-2pm. All dishes served with two sides. Zeta Brewing Company is a great place to hang out with old friends, make new friends, sip craft beers, enjoy excellent food, watch sports and listen to good music. And - it just keeps getting better and better. 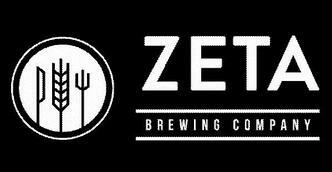 Zeta Brewing Company is located at 131 1st Ave N. Jacksonville Beach, Florida 32250.